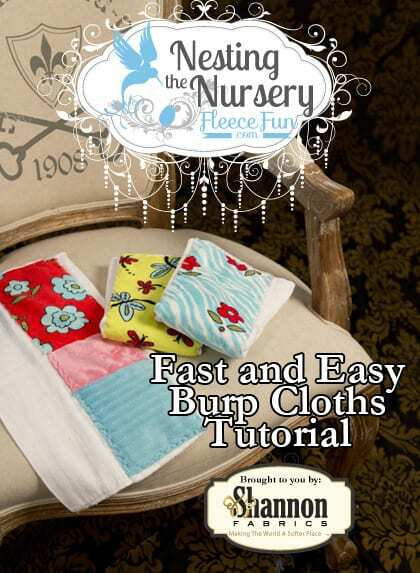 These burp cloths are fast and fun to make! 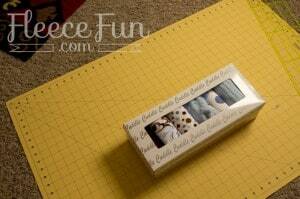 If you want to make something quickly for a baby shower these are great. 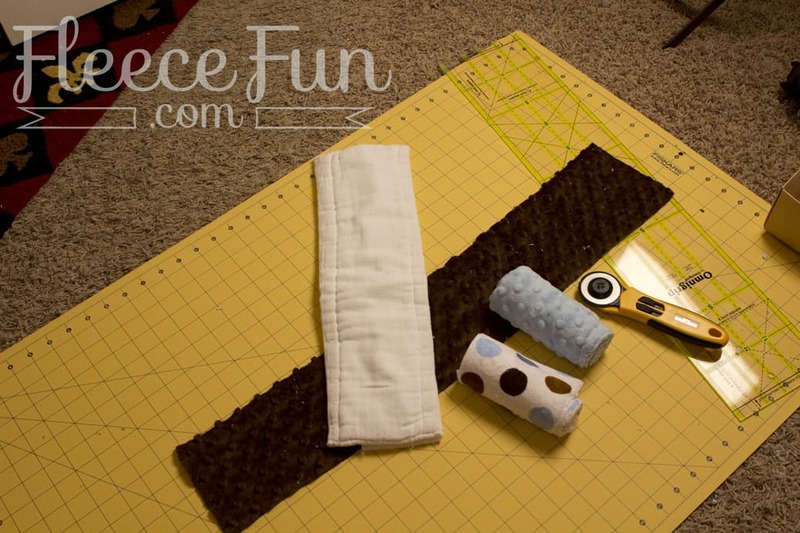 They also are simple enough to be a good first sewing project. Disclaimer: Shannon Fabrics provided the cuddle material free of charge to use. 1 – Wash the Cloth Diapers! So many tutorials skip this crucial step. I know it’s tempting those diapers come out of the package so nice and flat. Don’t fall for it! Wash and them hot and dry them hot to get them to shrink up to their actual size. Burp cloths after all will be washed a lot! So do your self a favor (or the person you’re giving it to) and wash those cloth diapers. They will come out of the dryer a little lumpy and wrinkled but a quick pass with the iron will fix that. 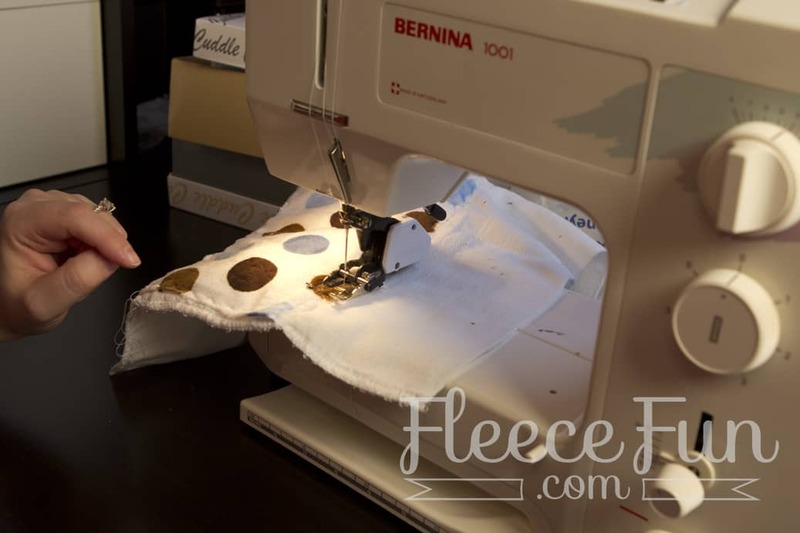 The Cuddle fabric doesn’t need to be washed ( it doesn’t shrink) so you can just get started. The strips in the kit come at the perfect width so all you need to do is cut the length. 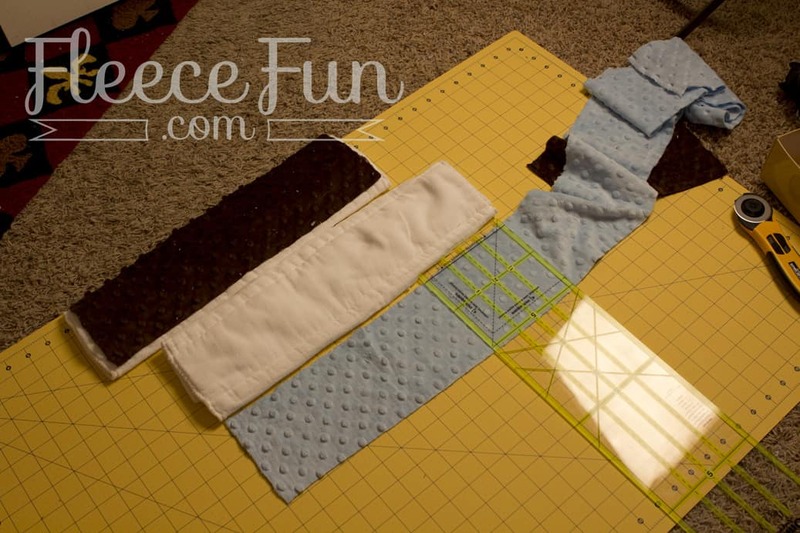 Using your rotary cutter, ruler and mat, cut the strips the length of the diaper. If desired you can cut up the strips to make a multi colored strip down the cloth ( be sure to take into account a half inch seam allowance), or keep it simple and just use one solid strip. If you are making a cloth that has several colors on it, sew them together using a half inch seam allowance. Then, Using a walking foot ( good practice for other Cuddle projects, but not absolutely necessary to complete this project) and a 90 stretch needle, sew on suing a Serpentine stitch along the edge of the cuddle. Sew along all four sides, trim your thread and you’re finished.